The past two years, when our meatkings go to table, we send our heritage breed roosters along with them. Sadly, they don’t make the selection for breeding due to either temperament or less suitable breed traits. The first time I cooked a heritage breed rooster, I made the mistake of cooking it like a meatking, which is a type of bird that amasses muscle very quickly due to selective breeding and is super tender when roasted. Unexpectedly, I bit into a drumstick the consistency of rubber, and less along the lines of the meat that falls off the bones with meat kings. With a potential customer base for heritage breed chicken, I set out to cook atleast three meals in three days from two roasted heritage breed roosters to provide customers with some recipes and quality feedback on the taste and texture of heritage breed chickens, the type of chickens that my grandparents grew up raising and eating in their barnyard/backyard flocks. Each and everyone of us has a different level of expertise in the kitchen. Hopefully, you can take these words of advice and add cooking heritage breed chicken to the list of culinary favorites. As I continue to pursue a larger disconnect from the “supermarket” mentality that once governed my decisions on food, I find myself spending more time in the kitchen and making more efficient use of food items that have come from our small diversified farm. Each time I cook a heritage breed chicken my imagination takes over and I picture myself operating a homestead and cooking around an old L’Islet cooking stove like the one we have inside our farm house. Before the age of the supermarket, people cooked in the name of efficiency. They made multiple meals from a roast beef or roast chicken. The one and done approach didn’t cross their minds. They ate to survive and cooking was an experience, not a quick stop in your day. I try to keep this in mind when I look at the left over meat on the chicken carcass. The chickens gave their lives to feed my family so I’m not going to throw the meat that didn’t get eaten into a garbage can (Like many of us often do) but rather I’m going to make multiple meals. 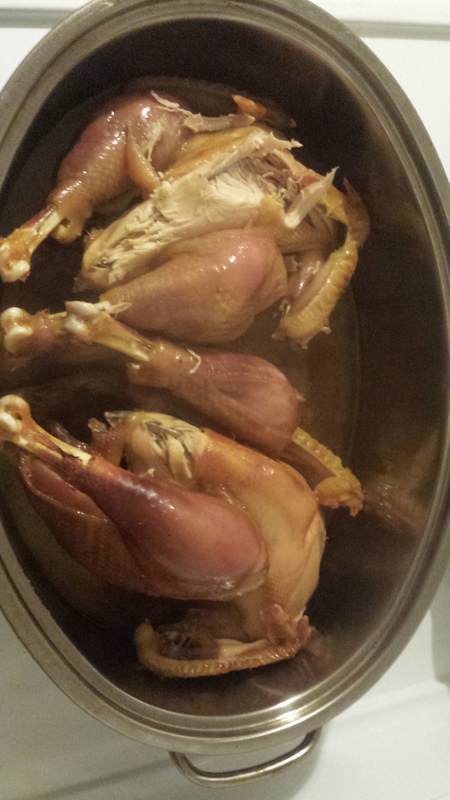 Before I cooked the two heritage breed roosters, I did a little research on cooking heritage breed birds. I found a gem on Mother Earth News, which I had incidentally read about in Joel Salatin’s book on pastured poultry. Just click on the following link for an informative read: http://www.motherearthnews.com/homesteading-and-livestock/cooking-heritage-breed-chickens.aspx. This article, as well as other leading authorities on chickens like Gail Demerow, Joel Salatin, and the many contributors to the backyardchickens forum, talk about the four different types of birds available for cooking. On our farm, our pastured meatkings qualify as broilers as they are processed up to 12 weeks. By this point they have amassed a substantial amount of meat but are not impeded by the weight gain to the point that they are immobile (unethical and poor management at that point). However, meatkings do not qualify as heritage breed birds so you’ll rarely see a heritage breed rooster processed that young because they are a much slower growing bird. We have not produced fryers yet, but this year when we have our turkeys processed in the fall we will also be doing our heritage breed roosters that have not made the cut for breeding or have not sold to other farmers. 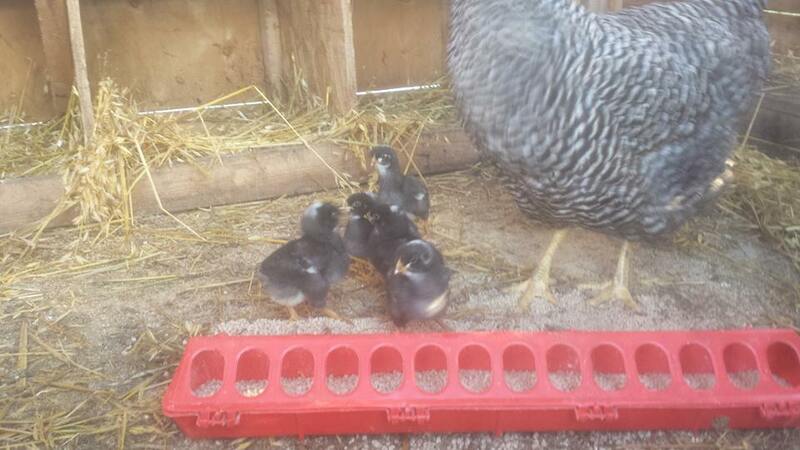 Our Plymouth Barred Rock Cockerels/Roosters are supposed to make excellent fryers. When it comes to livestock I also offer them a chance for life on another farm first before having them processed. We have sold more than a few roosters over the last couple years in exactly this effort. When we keep our roosters through the winter we process our roosters at an age that qualifies them for roasting and slow-cooking techniques. 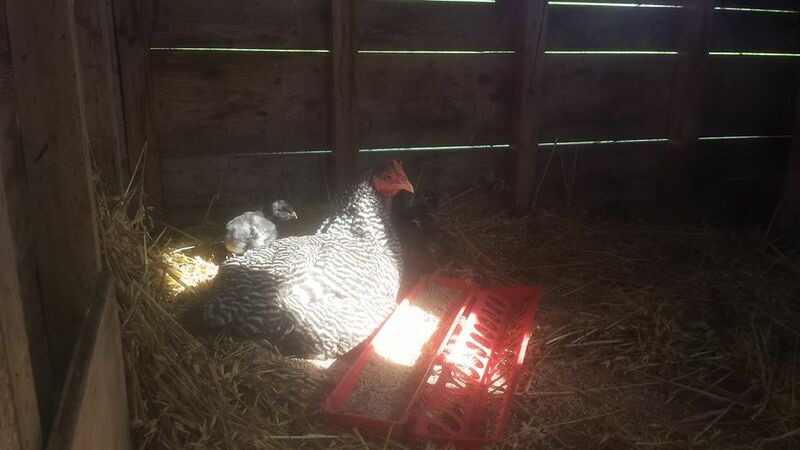 The recipes/meals in this blog are written for roasters, which are birds on our farm that are still the first year of their life, but past physical maturity. 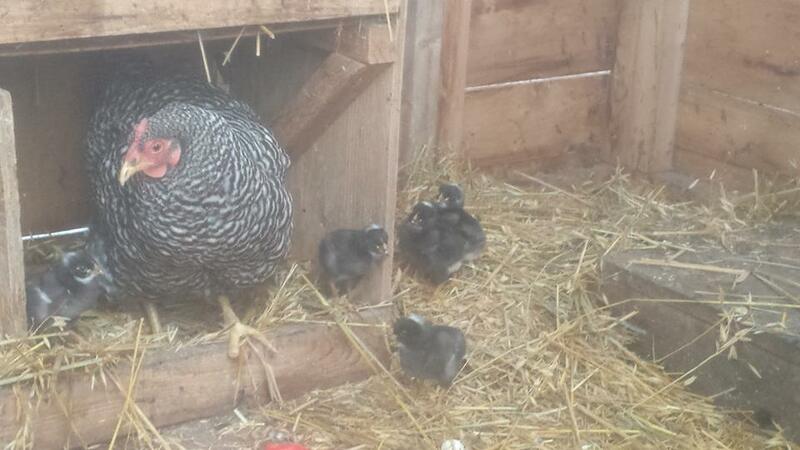 Finally, we seldom process stewers, or our laying hens that are near the end of their egg production days. We do not butcher on farm so these birds often end up finishing out their days on another farm as pets or, strangely enough, stewing hens. Take a roaster, Close the vents. Add a 1/2 cup to a cup of water and some olive oil to the roasting pan. Place the birds breast side down in the roaster and cook in the oven for 3.5 hours at 325 degrees Fahrenheit. 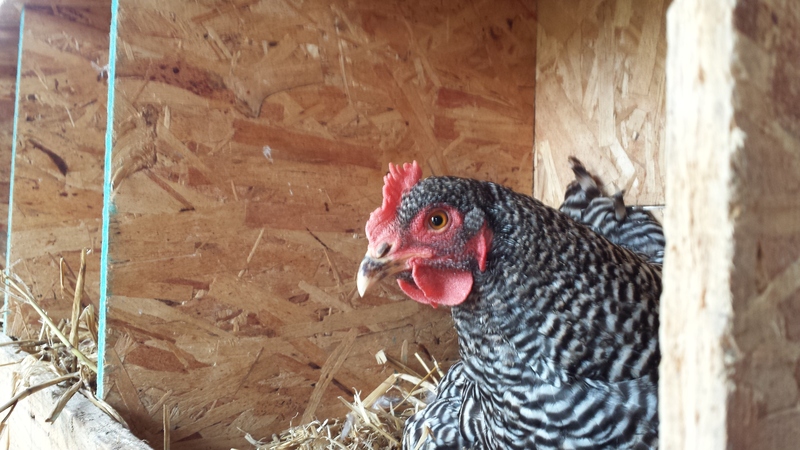 It is important to note that a pastured rooster will have very yellowish fat. There is nothing wrong with the bird, it simply means that they had the luxury of enjoying the great outdoors and the healing power of the sun during their life cycle. The carotenoids found in the grasses that the chickens forage on deepens the yellowing color of their fat, filling it with nutrients that make their way into your soups and gravies. Our family is big on wraps and sandwiches so we use up the tenderest white meat in our own concocted wraps, which usually includes sautéed onions, peppers, and mushrooms. You can choose to use any part of the chicken for your meal but I suggest delving into the tenderest meat, especially if you have young ones. 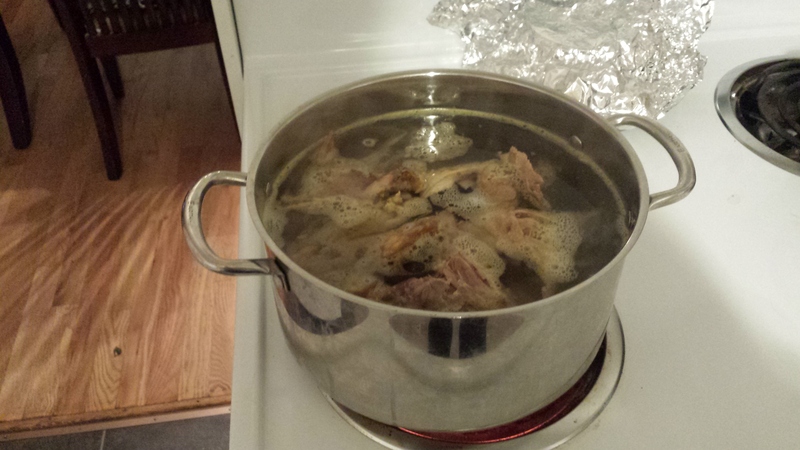 At this point, day 2, we start to pick away at the meat on the legs and wings as well as anything left over from the breasts to cut into cubes for our baked chicken and rice, which is a family favorite. You can make changes to the recipe as you see fit. Finally, my favorite day, soup day. I have grown increasingly fond of hearty soups and stews this winter (Our Northern New Brunswick winter has been especially hard on people of all ages). I have added two soup recipes (Heritage Breed chicken and rice soup and Grass fed beef and barley soup) to our farm website menu. Place your left over chicken scraps (back, legs, wings, etc.) in 4 quarts (16 cups) of water. Including a small amount of vinegar will help to break down the ligaments and sinew on the bones. Bring to a boil and then put on low heat for at least 3 hours. Skim the water as it cooks. Add a 1/2 cup each of celery, carrot, and onions. When the broth is done strain the liquid to remove the chicken bones and pieces of vegetables. These can be composted. Place the pieces of meat from off the bones in the chicken stock. 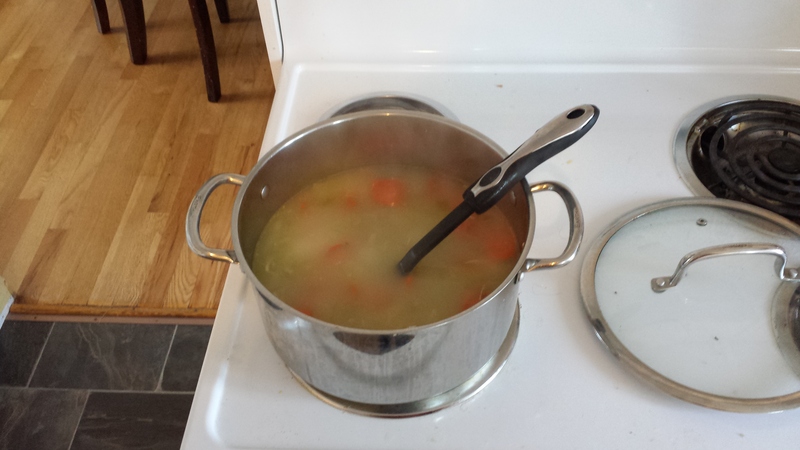 Again, add a half cup of celery, carrot, onion and rice to the stock with chicken. Then add a whole can of diced or whole tomato for color and flavor. Add a tea spoon of sea salt and a 1/4 teaspoon of pepper for taste. You can change these amounts at your discretion. Add a small amount of garlic, a 1/4 teaspoon of celery salt, and a bay leaf. You’ll remove the bay leaf after the soup has finished cooking on a low heat for an hour. This makes a hearty soup. I prefer to leave the vegetables sliced in larger size pieces for a chunky appearance. Enjoy this soup as a natural treatment for a cold or on a cold winter day with friends and family.